Since living in over 7 cities including her time spent in Singapore, I has made strides to engage and give back by asking, “What can I do for my city?” Below are some of the vastly amazing people & places I has come to call her homes. By weaving the arts and music with culture, I strive to tune in and give back with the talents I love. Play On, Dallas! was a cultural expression project involving the decoration and installation of pianos in popular community spaces within Dallas. The goal was to provide art and an otherwise expensive, difficult-to-access musical instrument to the public so that all have the opportunity to perform, to learn, and to teach on pianos. 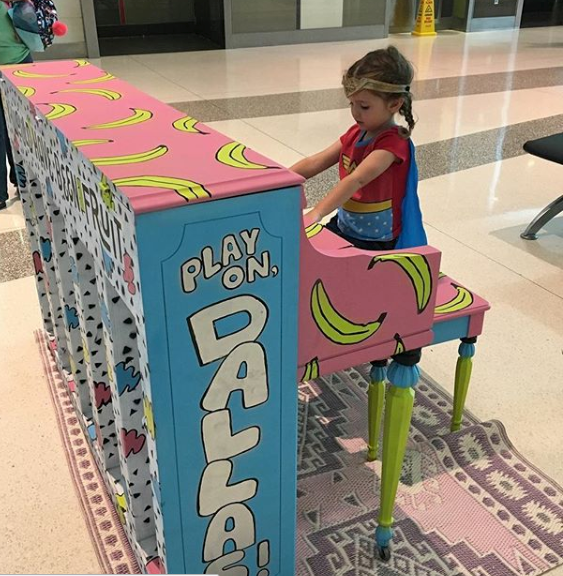 To achieve the unity of a diverse community and to positively impact Dallas, the pianos were placed in public spaces. Mission Mural painted for the incredible students & staff at the Rainbow Centre - Yishun Park, a school for students with disabilities. These students deserve all the support love and attention given to them by the sweetest and most selfless teachers I’ve had the pleasure of meeting. They welcomed me in with open arms, became a big part of my heart and I hope to continue to give back. Play Me I’m yours was a project I was invited to participate in with the Rainbow Centre School. I helped design and paint a piano with 10 students including Danial Isaac, and the Art Director, Yazid, Eunos. This project placed 50 painted pianos around Singapore to encourage the cultural evolution and unite a community over art and music.